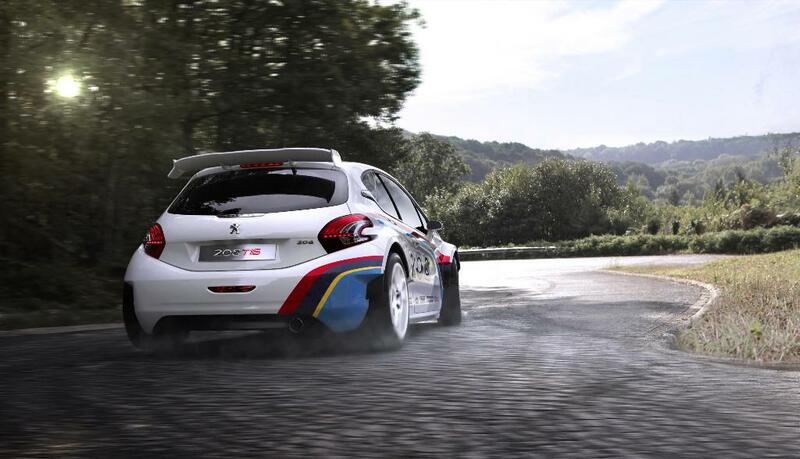 In keeping with its competitive nature, Peugeot has decided to contest the 2013 Pikes Peak Hill Climb (Colorado, USA, 30th June) which continues to stand out as one of motor sport’s most exacting, internationally-reputed competitions. Peugeot’s bid to win the unique Colorado Springs based event with the Peugeot 208 T16 Pikes Peak has led it to join forces with key partners: Total, Red Bull, Michelin and Sébastien Loeb. Peugeot has in times past been triumphant with the legendary 205 T16 and 405 T16 Pikes Peak. Ari Vatanen’s unforgettable record-breaking victory on the 1988 event in the 405 T16 is documented by the celebrated film, ‘Climb Dance’. Peugeot won the famous hill climb a second time in 1989, this time with the USA’s Robby Unser behind the wheel. The Pikes Peak Hill Climb’s unique course was finally entirely asphalted last year and comprises 156 turns over a distance of 20 kilometres that takes competitors from an altitude of 2,800 metres to 4,300 metres at its highest point. The event is famous too, as the USA’s second-oldest motorsport competition after Indianapolis and, over the decades, it has earned a reputation as a notoriously difficult and complex challenge! 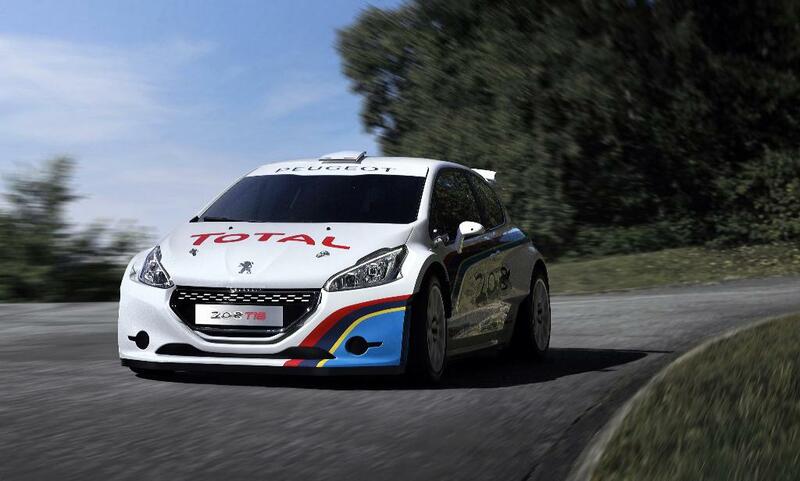 The Peugeot 208 T16 Pikes Peak has been entered in the premier ‘Unlimited’ class and has been given the start number ‘208’. Its sole objective is victory! Below is the Climb Dance video mentioned above. Enjoy! 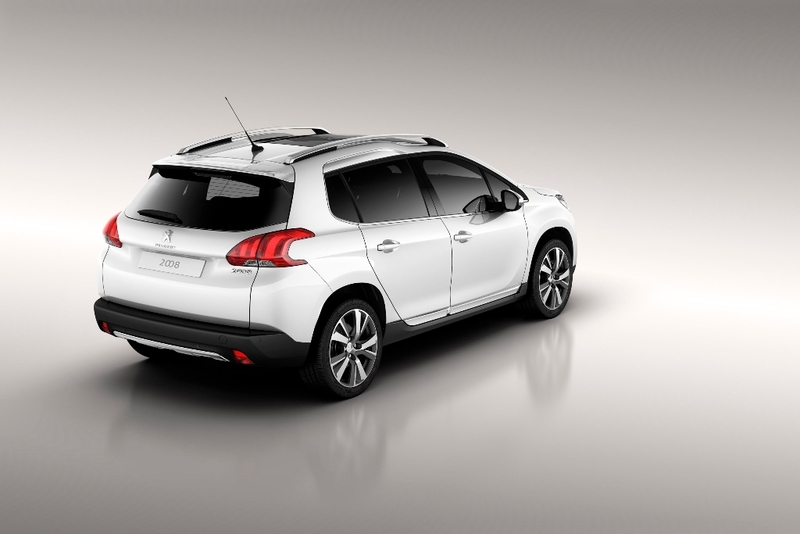 The new B-segment Peugeot 2008 seems set to capitalise on the already successful Peugeot 3008. 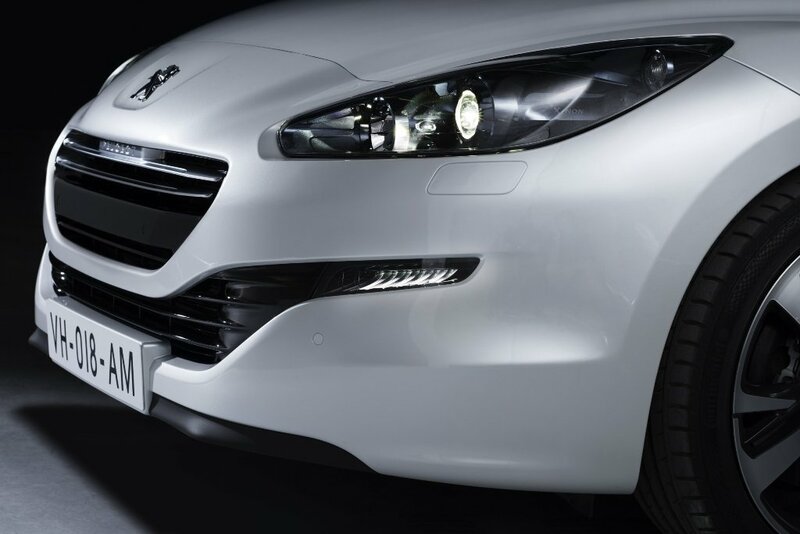 The new Peugeot is set for launch in Europe in spring 2013 with its South African introduction set for the first half of 2014. 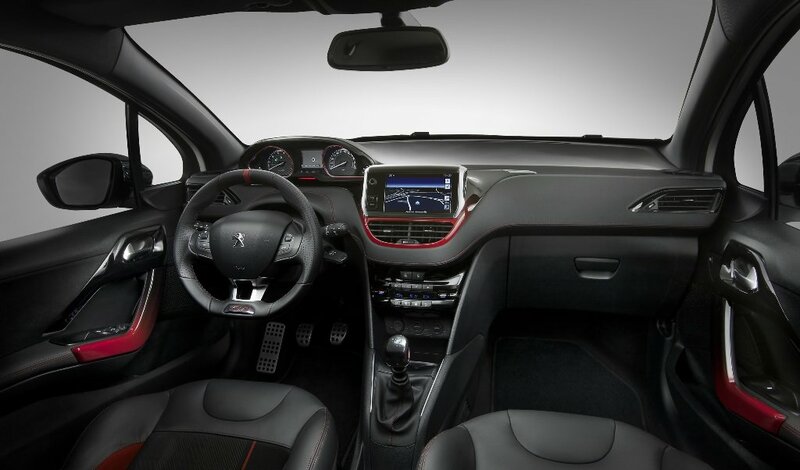 The Peugeot 2008 was designed and built with the view of meeting demands and tastes across three geographical markets, these three main markets being Europe, Asia and Latin America. 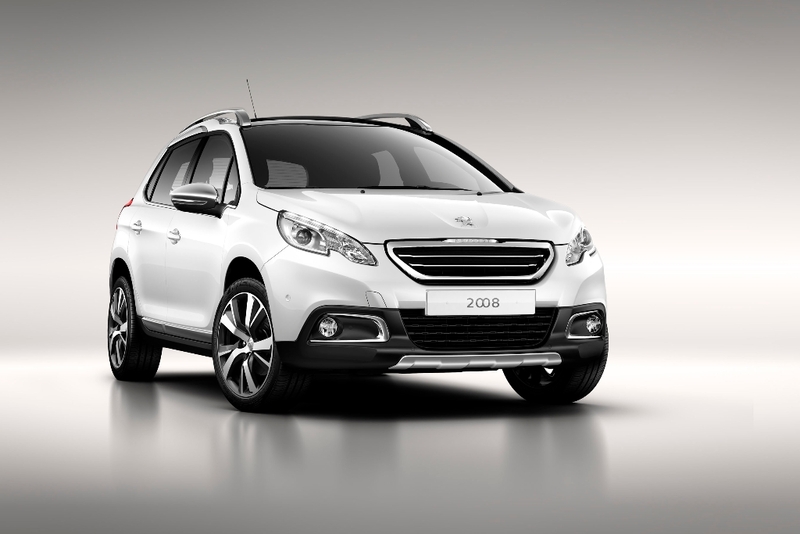 The Peugeot 2008 has a relatively high and commanding driving position, which when combined with the 17” wheels and the pronounced wheel arches give it a rather appealing road presence and stance. 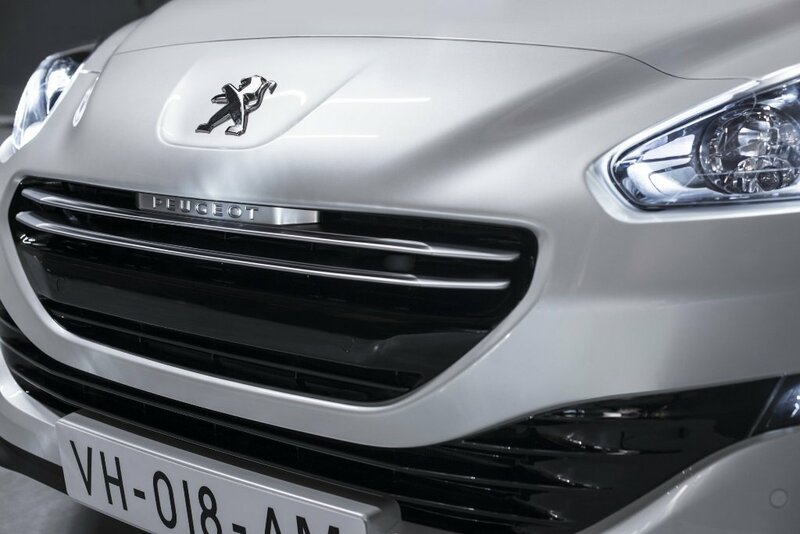 The front face of the Peugeot 2008 adopts the latest Peugeot style code. 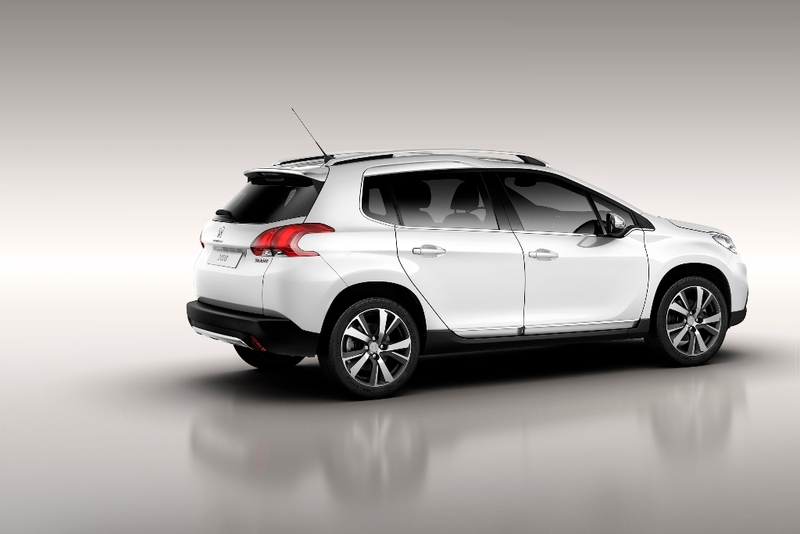 The side profile of the Peugeot 2008 looks rather elegant with the lines giving it a rather athletic presence. The panoramic roof also serves to create the feel of a rather spacious interior. 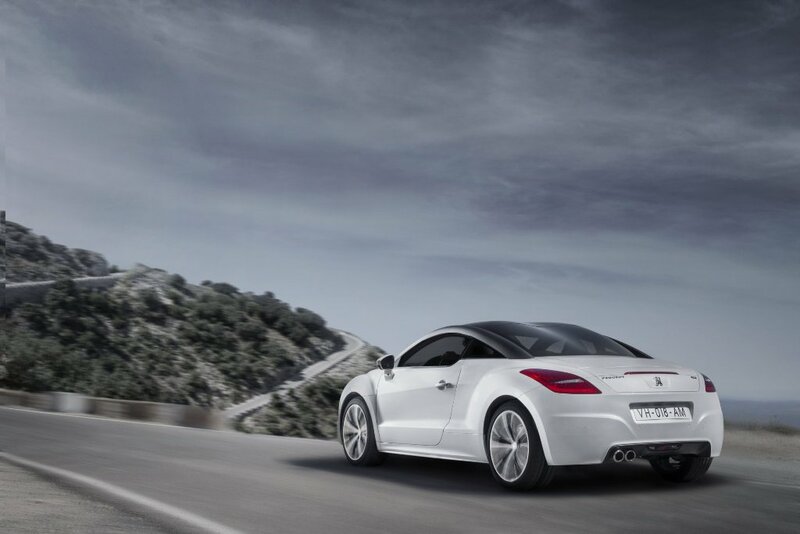 The rear of the car seems to incorporate the dynamic curves on the Peugeot RCZ all while not compromising on practicality. 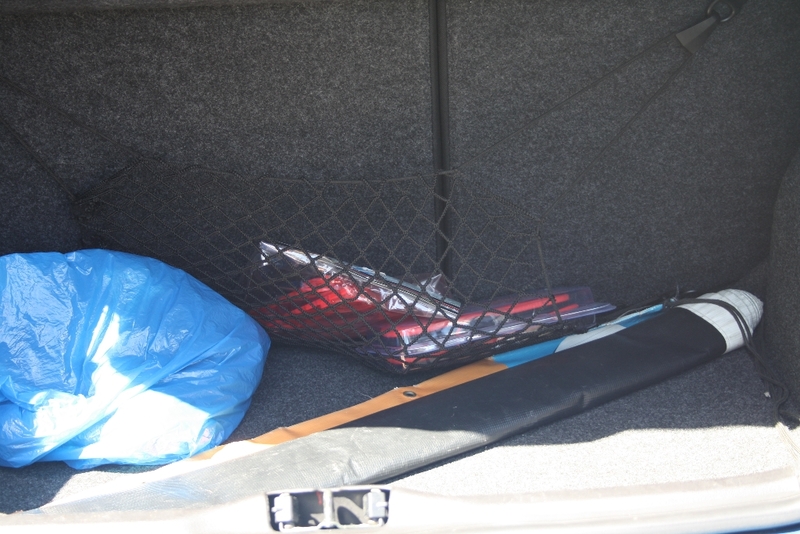 The rear tailgate is wide and the loading sill which sits rather low should help with loading of the car. 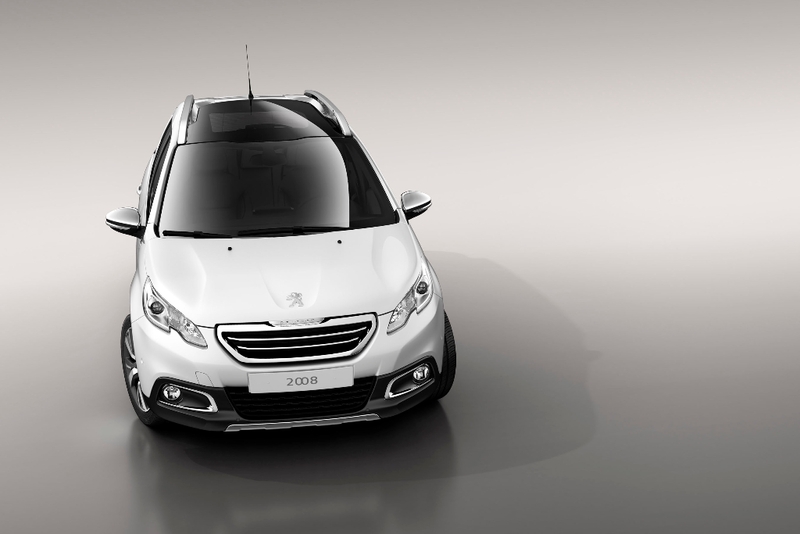 The Peugeot 2008 will use Peugeots latest generation engines and will offer CO2 starting from 99 g/km. 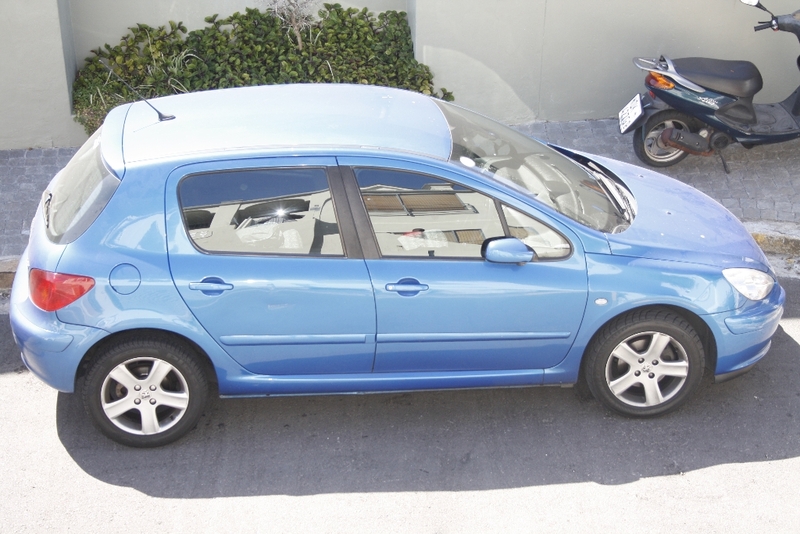 Having recently driven the 2005 Peugeot 307 XS Triptronic, I have to say I’m still quite chaffed and very impressed. As a child I distinctly remember the Peugeot 504 being the police car of choice. Our test model is blue in colour. Not a shade too dark but not light either. It does look brilliant. 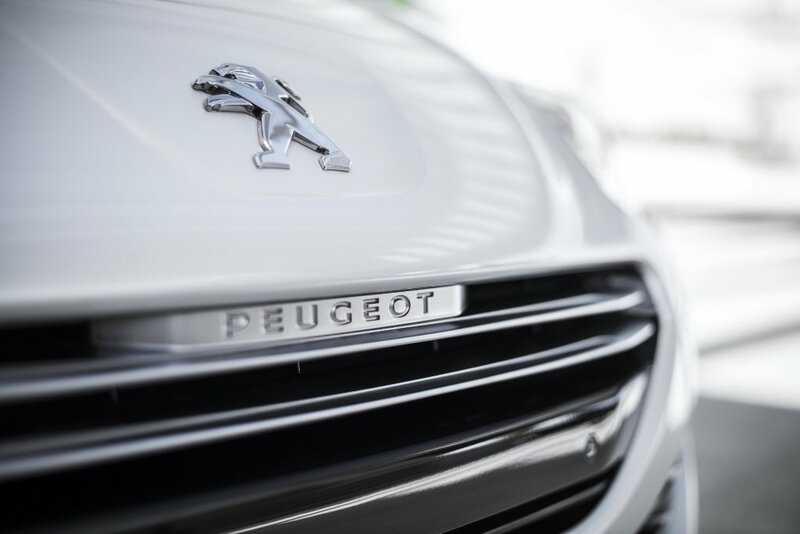 It has got that classic Peugeot look that we are all familiar with, the swept back head lights, the gently inclined bonnet and the much steeper windscreen. Considering that this is a 2005 car it doesn’t look aged at all. It in fact looks modern only without the “look at me mum!” daytime running lights LEDS that every other manufacturer has on their cars. 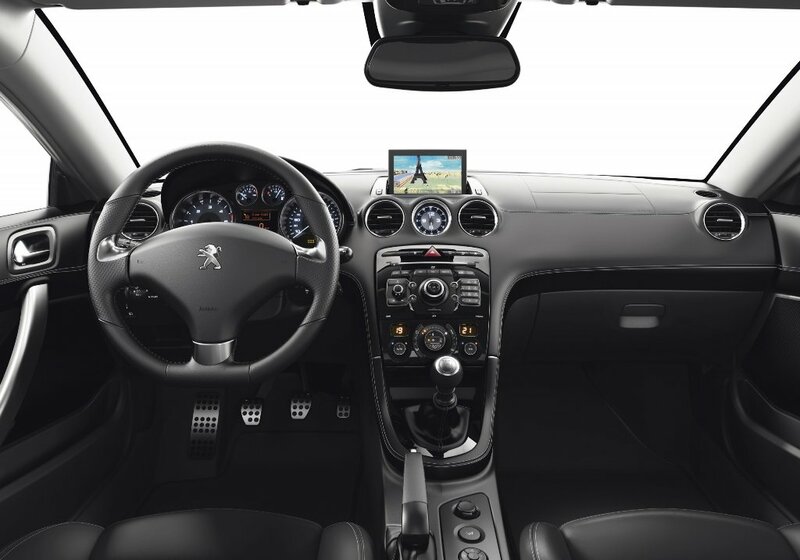 The interior of the Peugeot 307 is very neat and well put together. 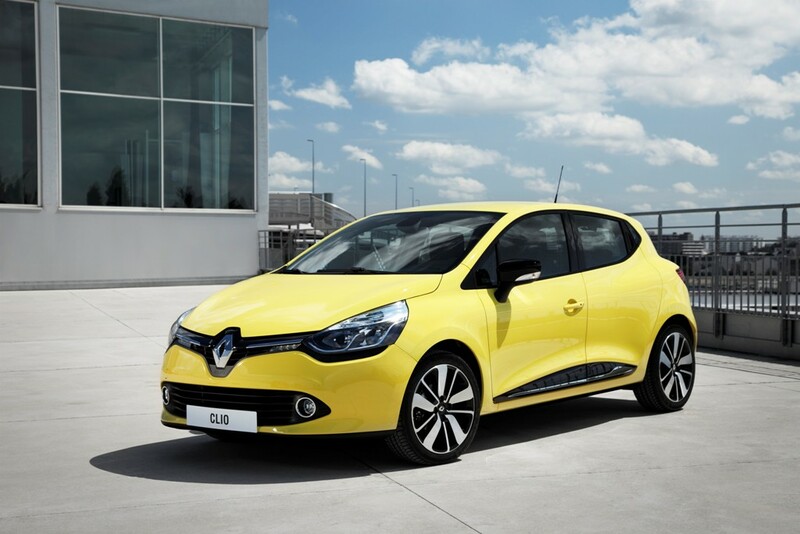 The plastics immediately speak of quality and feel much more upmarket than even the outgoing Renault Clio. 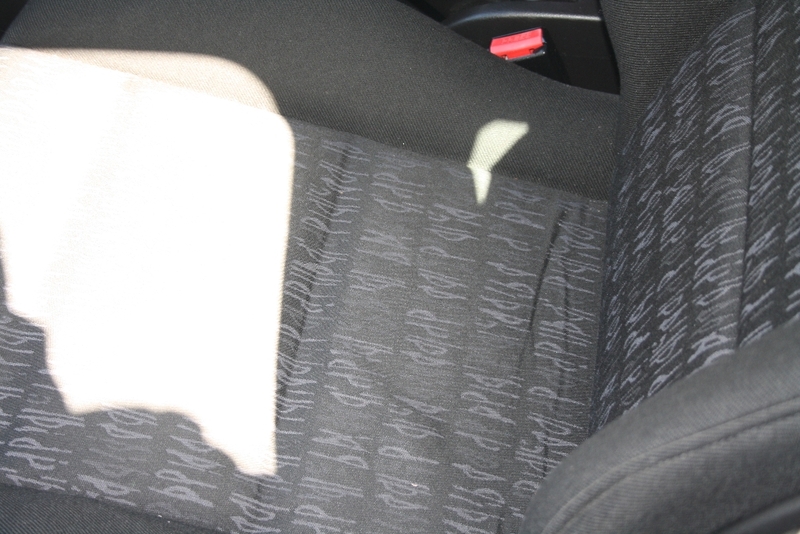 The front seats are sporty and have got good lumbar support and hip support also. They aren’t restrictive though so you don’t feel caged in. The seats are made of clothe and have an intricate pattern on them. 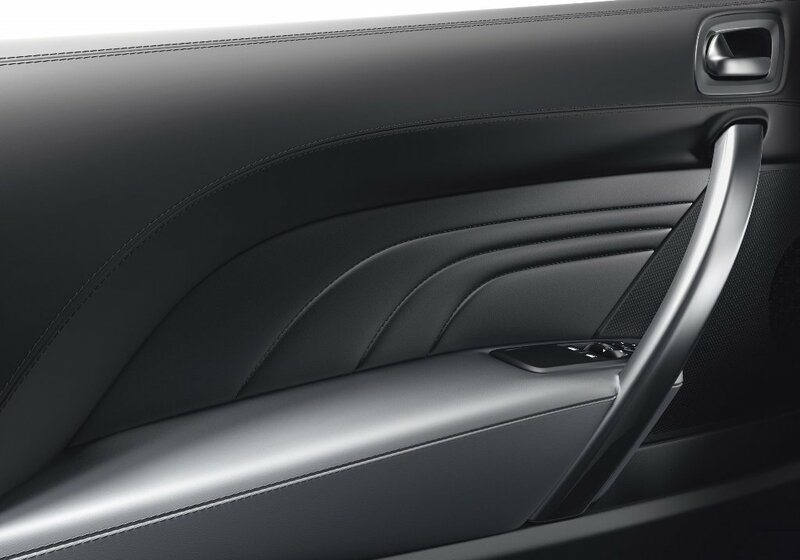 The whole interior is black with inserts of polished aluminium here and there on the dash and centre console. The gear lever’s base is littered with buttons all around and one of particular interest to us that has an S printed on top. The one with the ice crystal on top isn’t very useful in South Africa especially if one resides in the Western Cape. 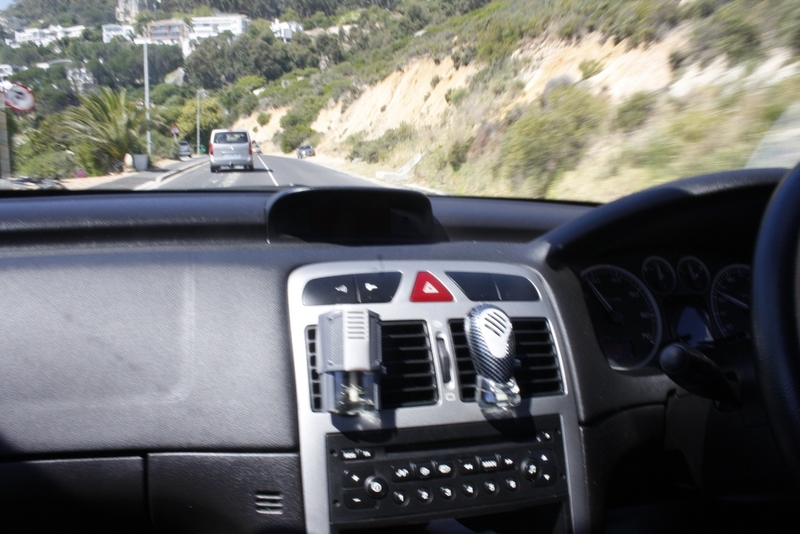 There is a digital display on the dash but the LED display has been worn out by years of parking under the sun so one has to strain to make much use of it. It displays all sorts of things from fuel consumption in litres/100 km to the time to what track you are currently playing on your CD. The instrument panel is much better aesthetically in comparison to 2005 VW Polo and even the ’05 Honda Civic we just recently tested. 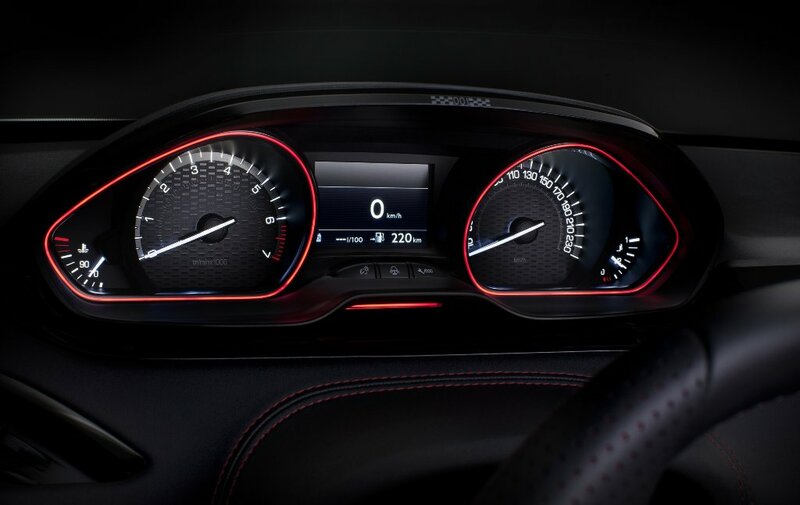 The rev-counter is demarcated to 7000 with the red-line at about 6800 revs and the speedometer has the final speed as 210 km/h. 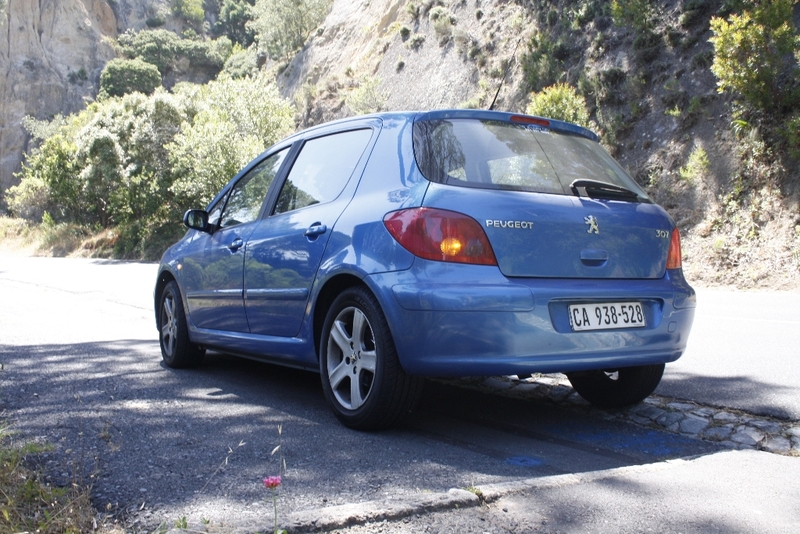 The Peugeot 307 XS Triptronic will stop accelerating at 200kph though. 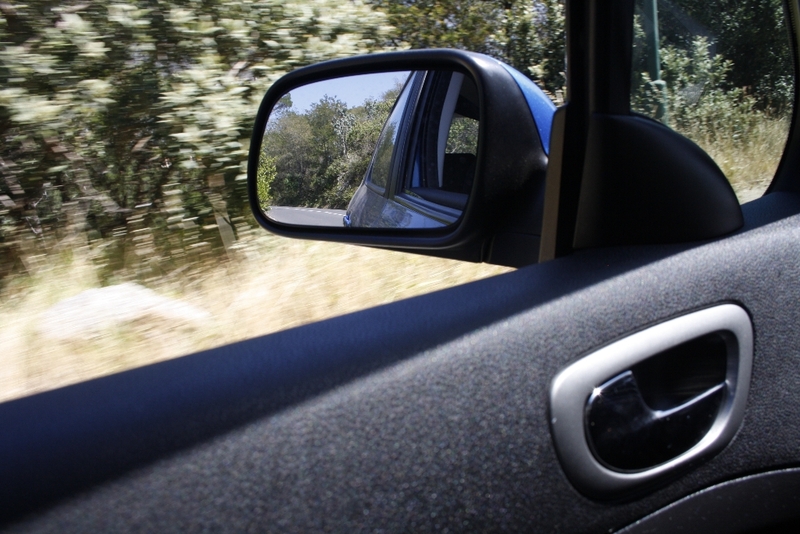 In the driver’s seat one is immediately drawn into a sense of security and absolute control. 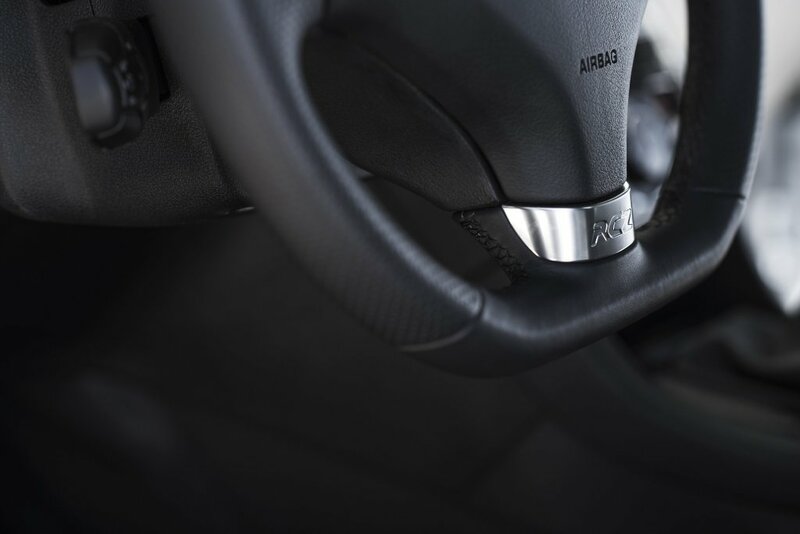 The steering wheel is reach and height adjustable so no more driving with uncomfortable steering wheel angles. 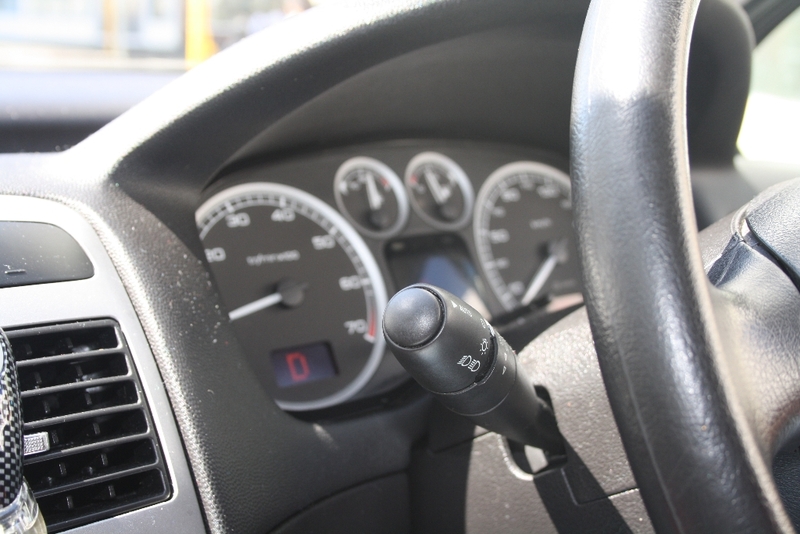 There is a lever behind the steering wheel with which one uses to adjust it. This is very convenient especially if you use different cars quite often. 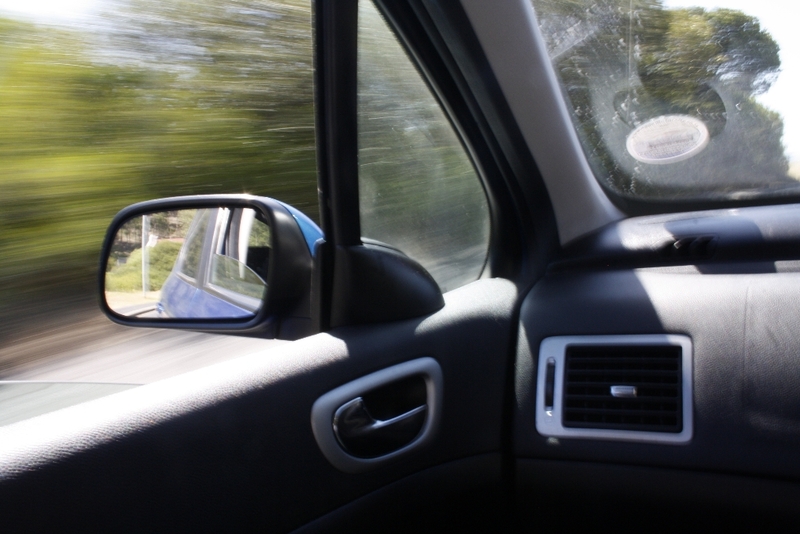 I find that I struggle every time am in a different car to find a sweet spot. 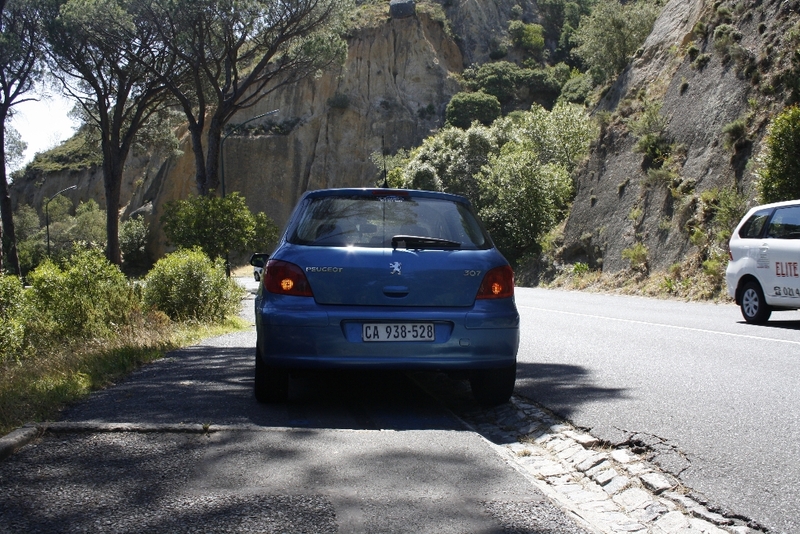 But in the Peugeot 307 I am right at ease. It feels to me like being on my favourite couch at home. However, I feel the hand brake lever is a bit too high and the release button needing of an extra strong thumb to push in. But I’m assuming you’ll get used to that after a while. The gear lever is rather large seeing as this is a four-speed automatic. 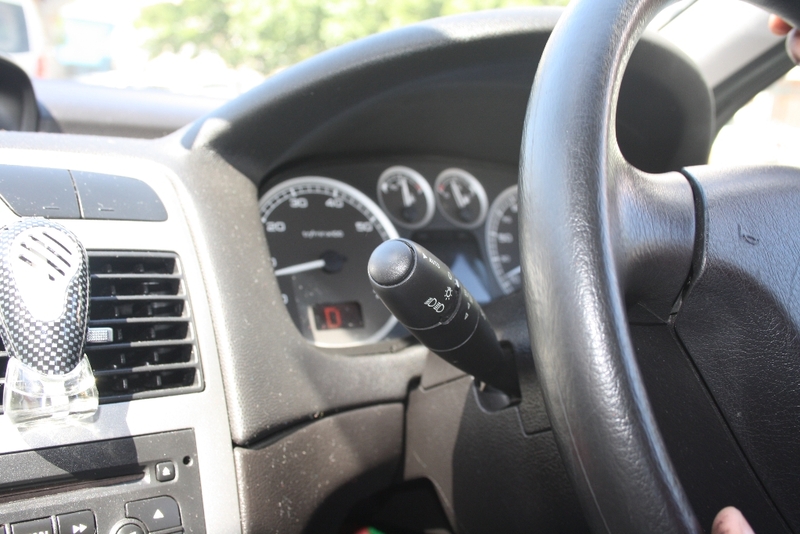 There is a provision for manual shifts with the car having a Tiptronic setting if one takes the gear lever to the M position. 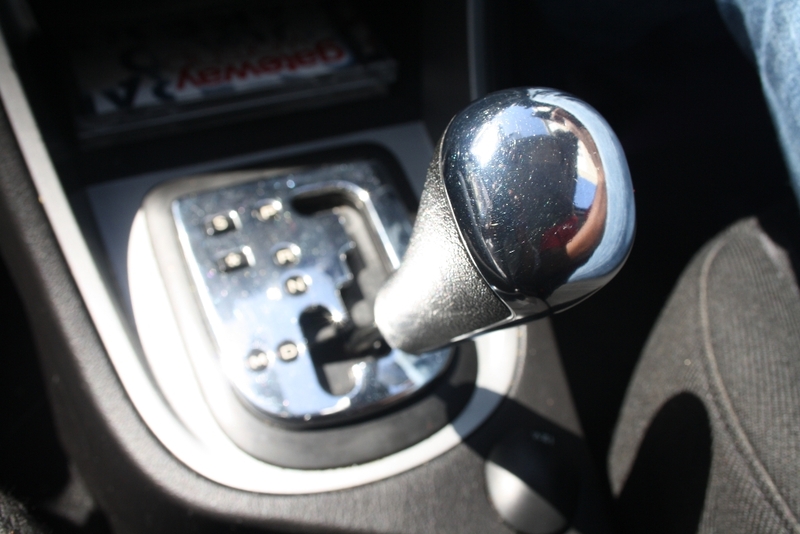 The shape of the gear lever is rather discouraging if one wants to use the shifter as a manual as it’s rather clunky. As we head out the car is in auto mode all through and the shifts are imperceptible which I find encouraging. Usually with automatic transmissions there always seems to be indecision as the car tries to figure out which gear to be in. 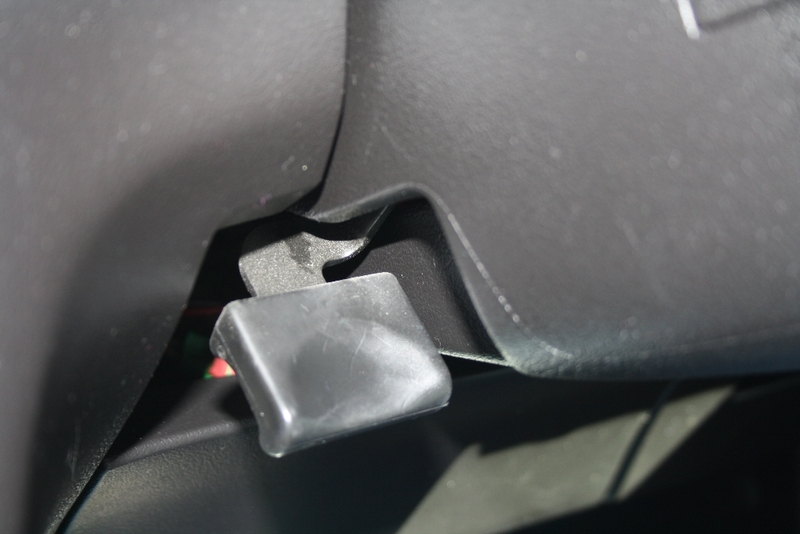 This usually results in a horrible engine whine as the car shifts gears rather unpredictably. 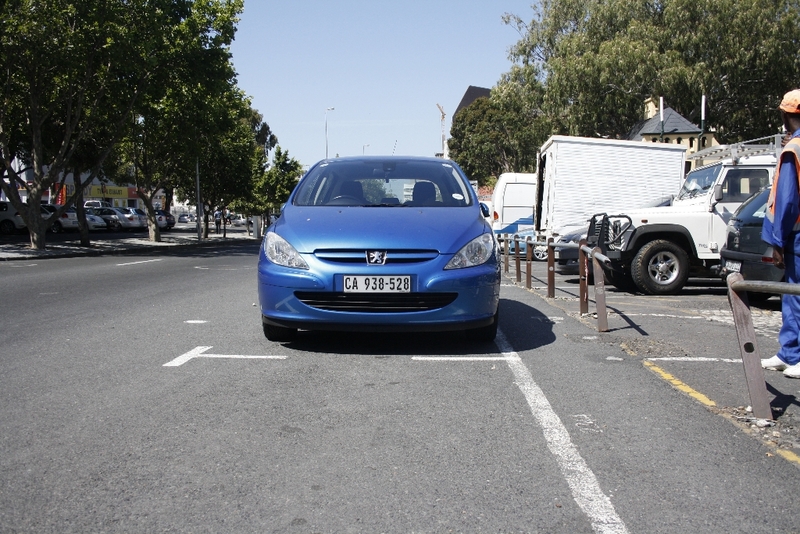 The Peugeot engineers clearly did a good job as we have none of that here. 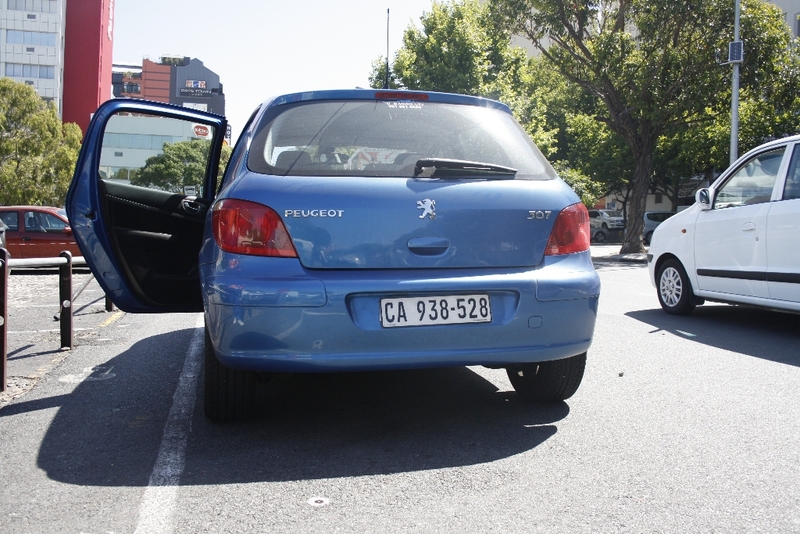 This is probably a good time to mention that the Peugeot 307 XS Triptronic has a 2 litre (1997cc), 16 valve transversely mounted, in-line 4 cylinder engine. 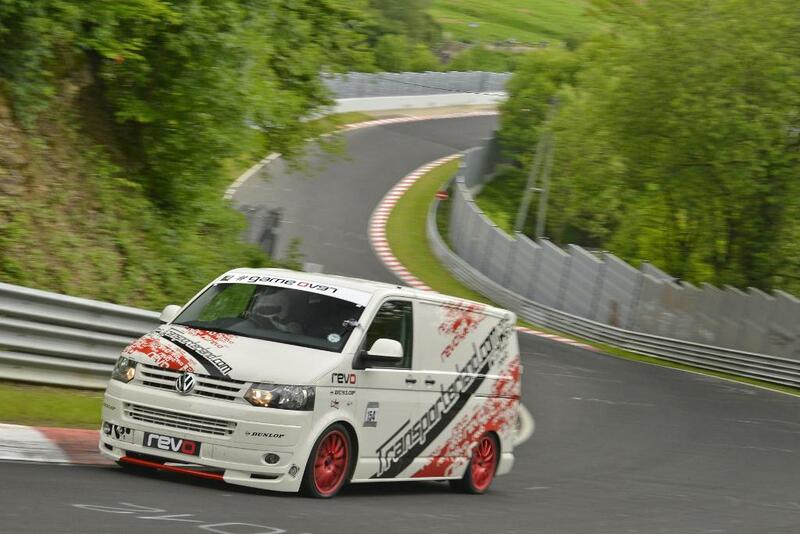 This churns out 103 kW of power at 6000 rpm and 200 Nm of torque at 4000 rpm. Quite a lot for a car that has a licensing mass of 1293 kg. There is one big problem though that I can’t quite get away from. 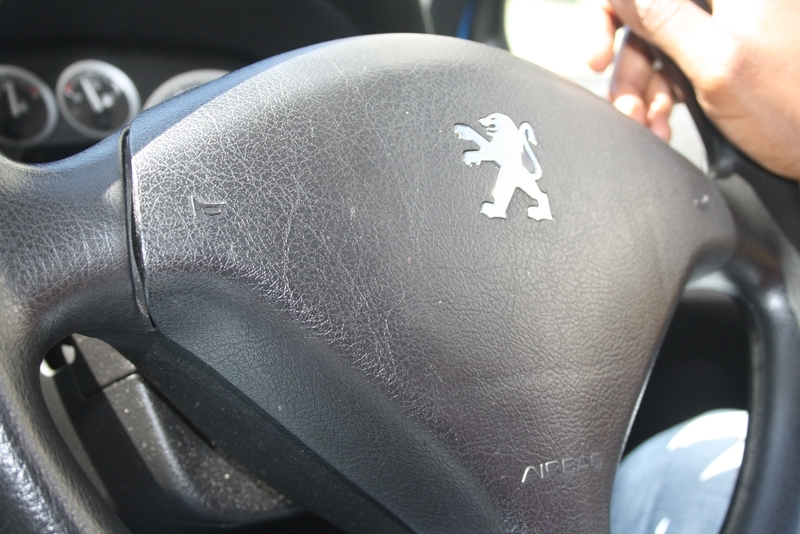 In normal driving mode the throttle response of the Peugeot 307 XS Triptronic is rather too slow. This could possibly be the result of the maximum torque coming in at a rather high 4000rpm but I doubt. Usually for cars that are equipped with different driving modes the throttle response depends on engine mapping. With the sport mode selected the throttle response is much crisper, a bit more brutal than normal. A good case in point is the Renault Sport cars. 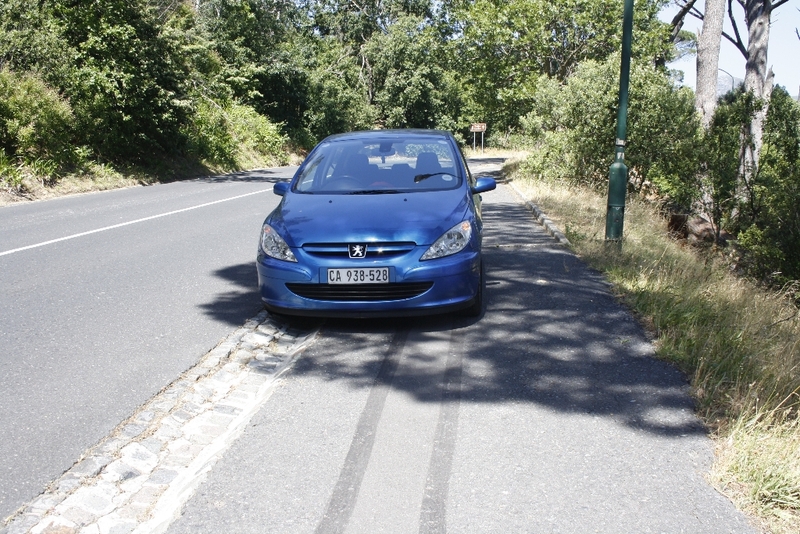 I think the French should confer with one other on their automotive tricks because clearly Peugeot needs a few lessons from Renault on throttle response as It isn’t what it should be. I had my foot nearly all the way down but still the car wouldn’t respond immediately regardless of the urgency of my request. This bothers me especially if you want to make a quick get away. 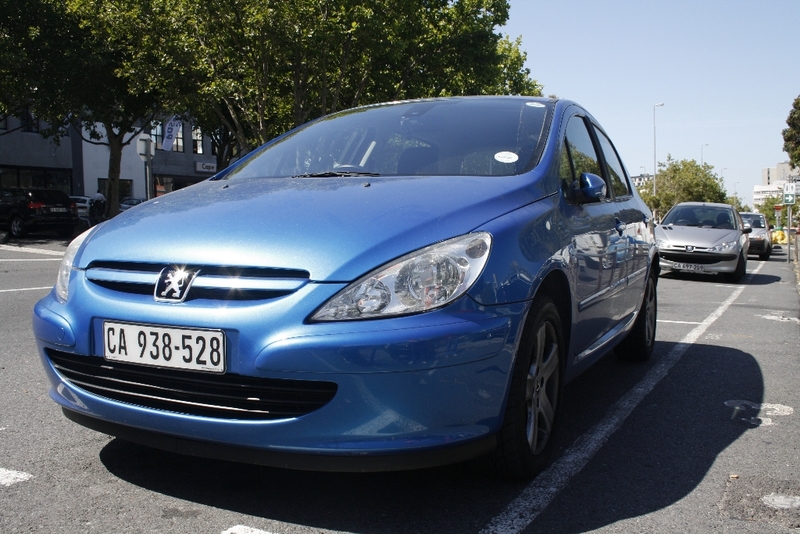 The Peugeot 307 has a claimed 0-100km/h sprint time of 11.1 seconds. In sport mode the throttle response is improved but still not what it should be. This is rather disappointing considering that you have a possible 200 Nm of torque at the disposal of your right foot. The intent is of course to obliterate anything this side of a Clio Gordini RS which by happenstance has just a mere 15 Nm of torque more. What about an epic drive, is it any good? Yes it is. 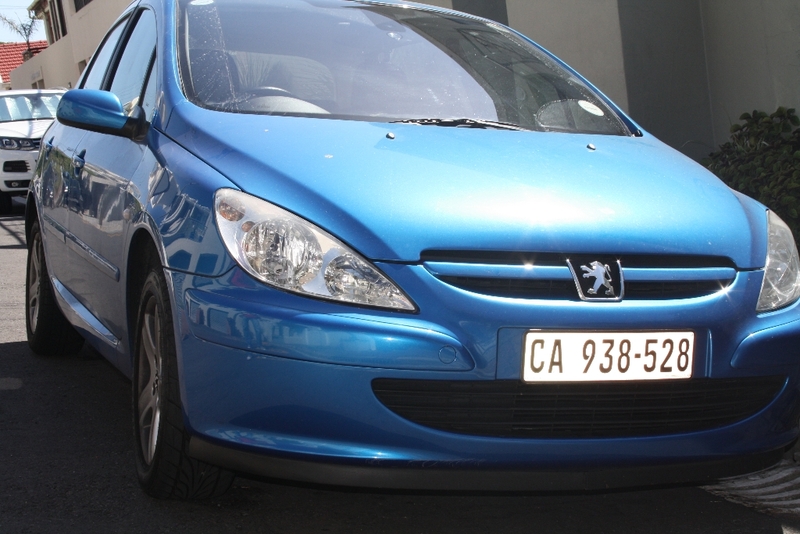 The Peugeot 307 XS Triptronic isn’t too big so you can drive about as unobtrusively as possible as you make your clean get away from the CBD. Because of the car’s size you are not worried about weaving in and out of traffic. 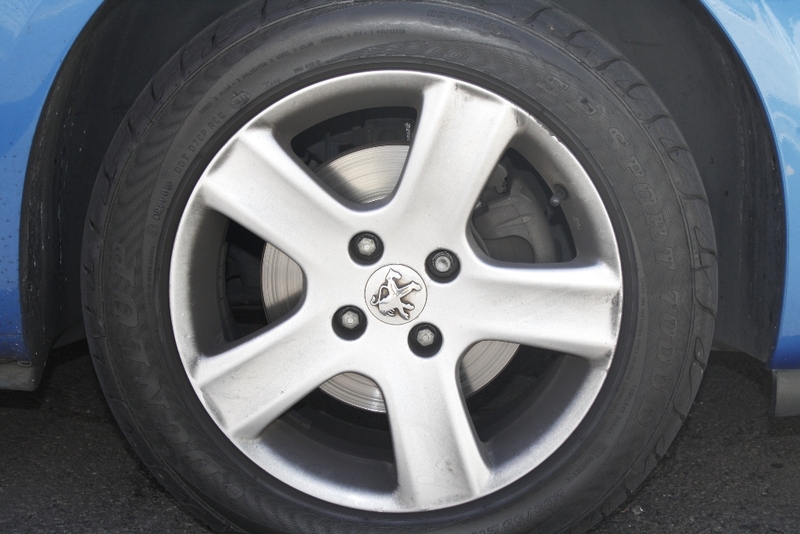 The brakes I should mention are very good and under perfect driving conditions will bring the car to a standing stop from 100km/h in about 2.88 seconds. ABS comes as standard of course. The fuel type is unleaded and the consumption is ideal ranging from 6.2 l/100km to 11.8 l/100km depending on whether you are driving in town or on the free way. The music player is rather average and doesn’t have an auxiliary port and the sound quality isn’t VW yet. 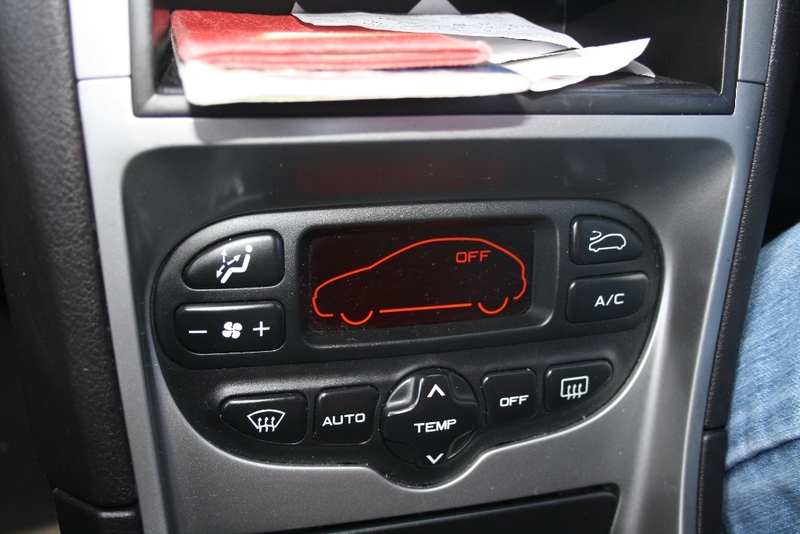 The car comes standard with automatic air con and climate control. The vents are ideally located to deliver cool air on a hot summer’s day to your face. 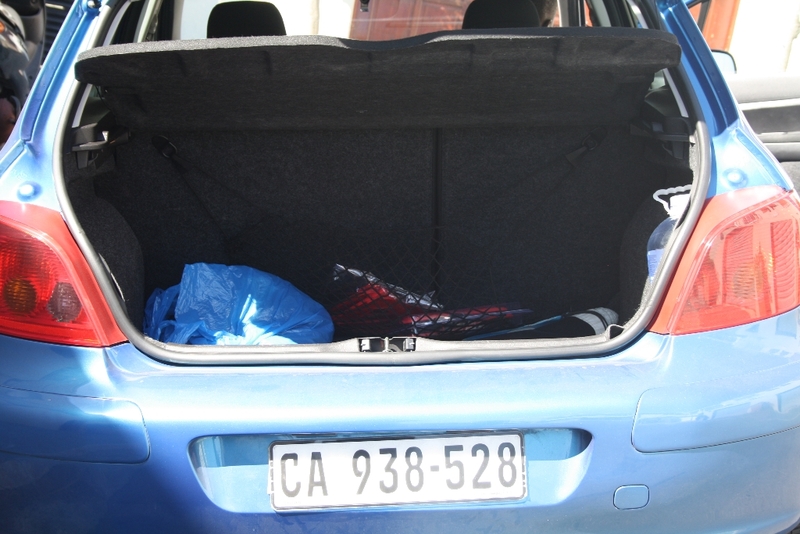 The boot has a large capacity of 341 litres which is more than enough to carry around a picnic basket and a cooler box for your amazing drive to Franschhoek and back. 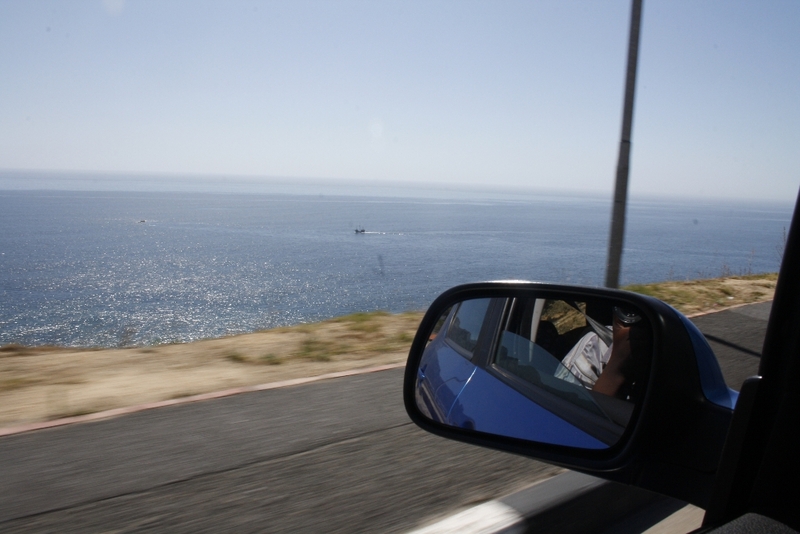 Check out the photos of our mini epic drive to Sea Point from Cape town CBD via Kloof Nek. 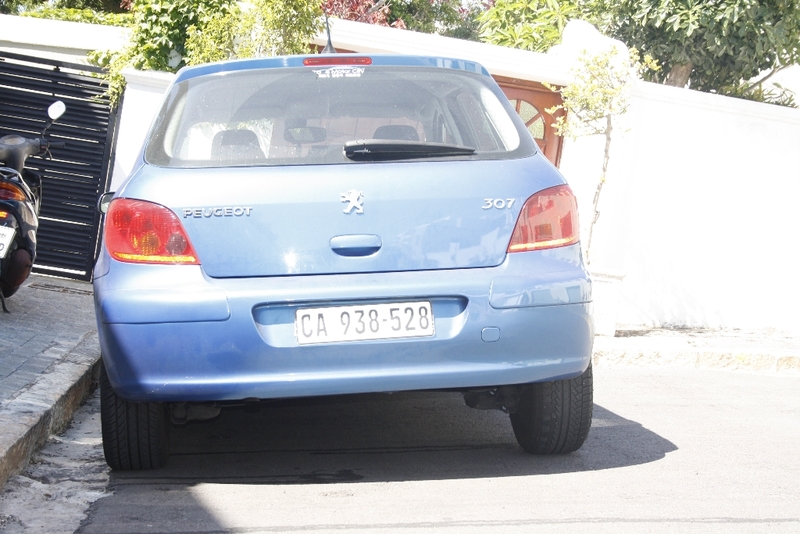 So, there we have it, the Peugeot 307 xs Tiptronic. 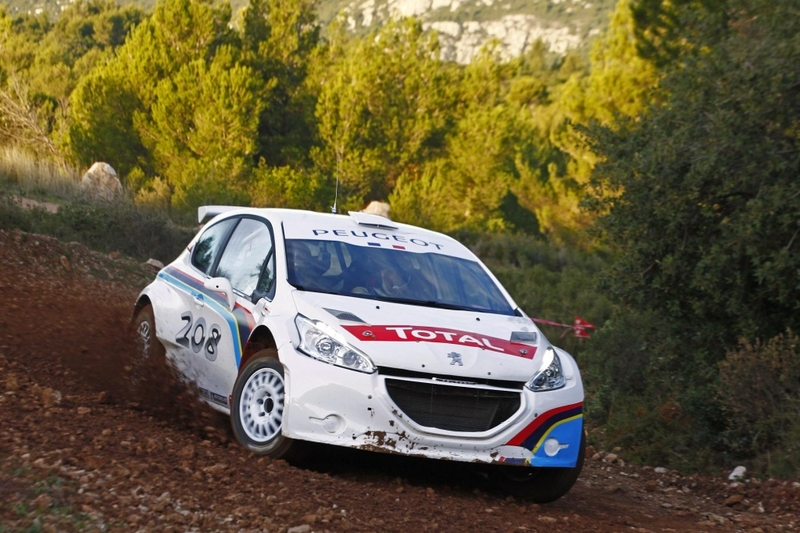 The Peugeot 208 Type R5 successfully took part in its first test programme on December 15. 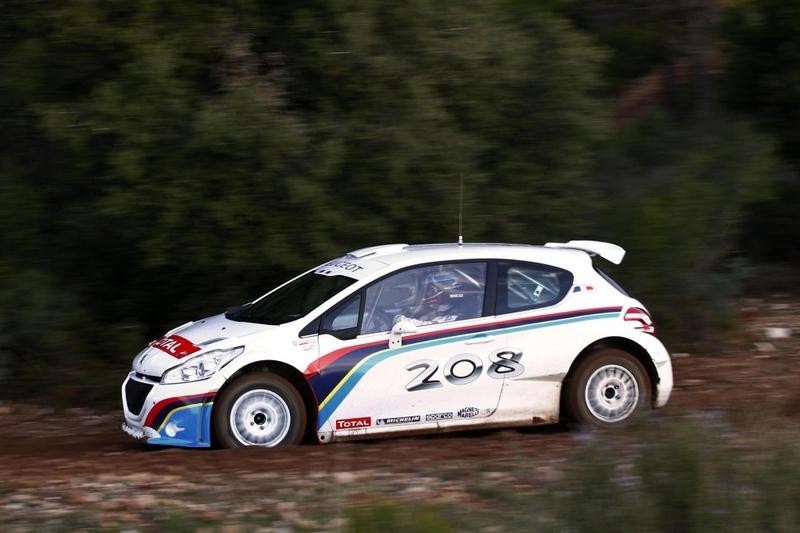 The 208 Type R5 was launched earlier in the year at the Paris Motor Show and will replace the current Peugeot 207 Super 2000. 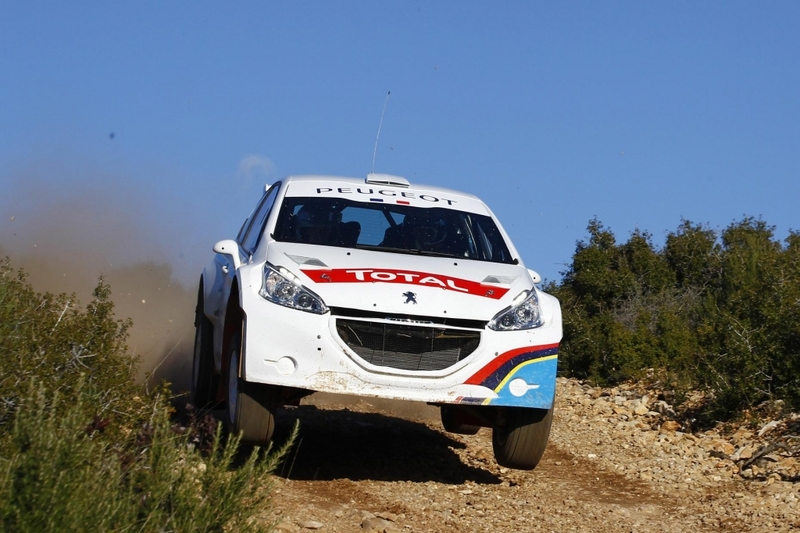 The 208 Type R5 was put through its paces on a gravel stage in the southeast of France (Riboux) where it completed a four-day programme in the hands of Bryan Bouffier/Xavier Panseri. 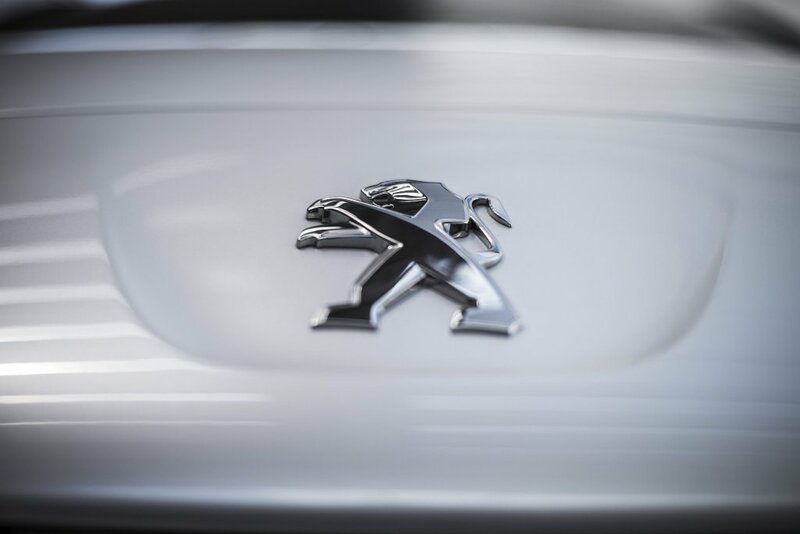 “That first run was a key step which is now behind us,” says Alexis Avril, technical manager of Peugeot Sport’s customer competition department. “We still have a great deal of work on our hands, though, since we now need to move on to the next phase of development. 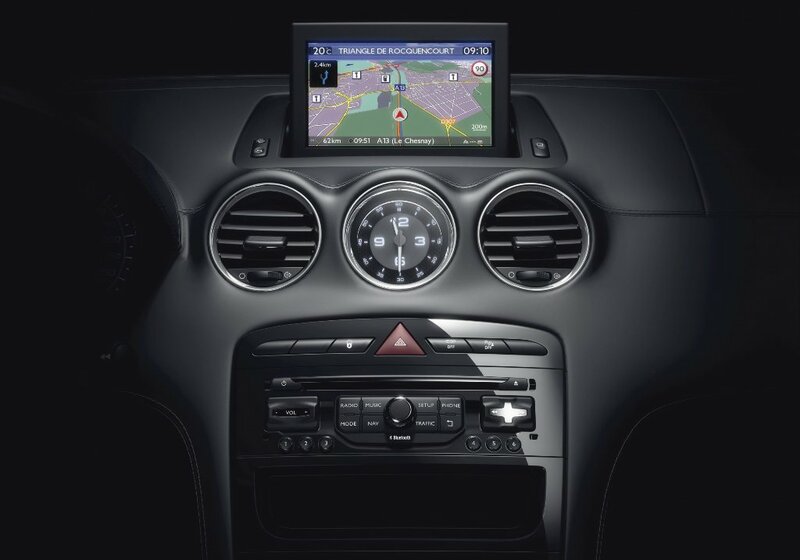 This will involve putting as many kilometres on the car’s clock as possible in order to validate its reliability. 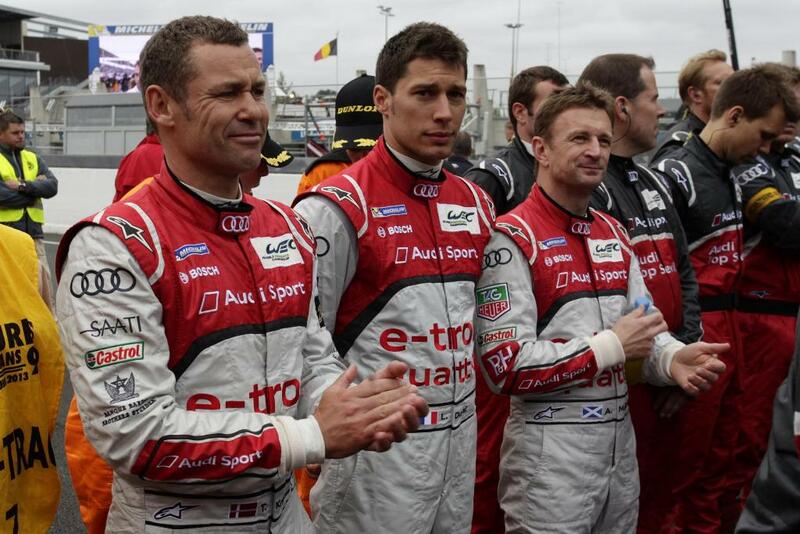 After that, we will be able to turn our attention to the optimisation of its performance potential. Between now and the 208 Type R5’s release for sale, its schedule includes more than 10,000km of testing on gravel and asphalt, in testing and on events. Choosing gravel for last week’s test was the logical option. There are a high number of components that will be used for both types of surface, so our aim was to evaluate their strength on the tougher of the two. 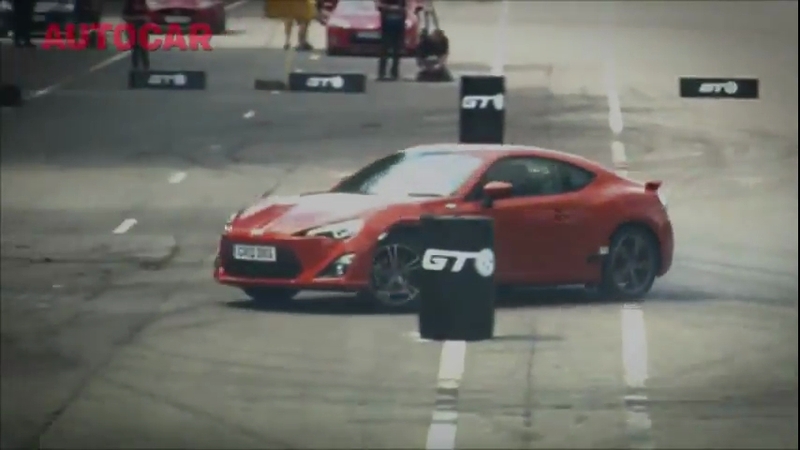 Below is a teaser video featuring now retired rally driver and politician Ari Vatanen. 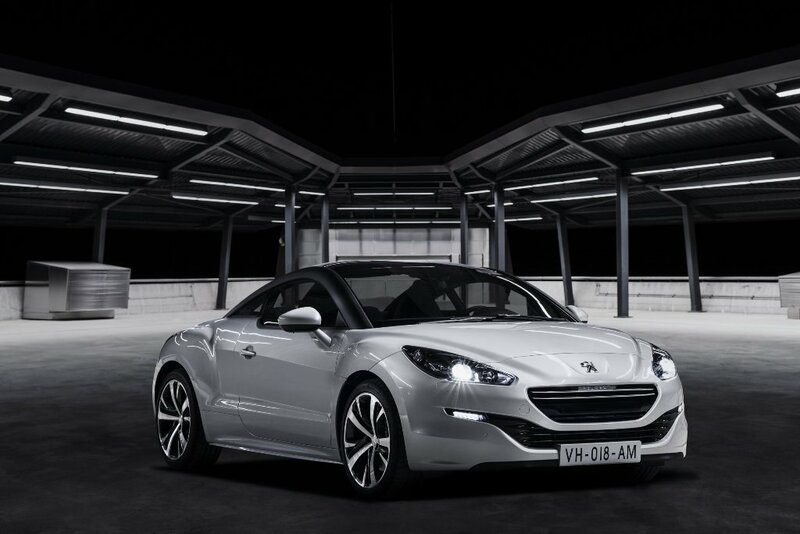 I won’t attest to an intimate knowledge on the Peugeot RCZ Sports Coupe, although at the back of my mind I have always seen it as Peugeot’s version of the Audi TT; however I do have to admit that from a visual perspective the redesigned Peugeot RCZ looks way more refined and sporty compared to the outgoing RCZ Sports Coupe. 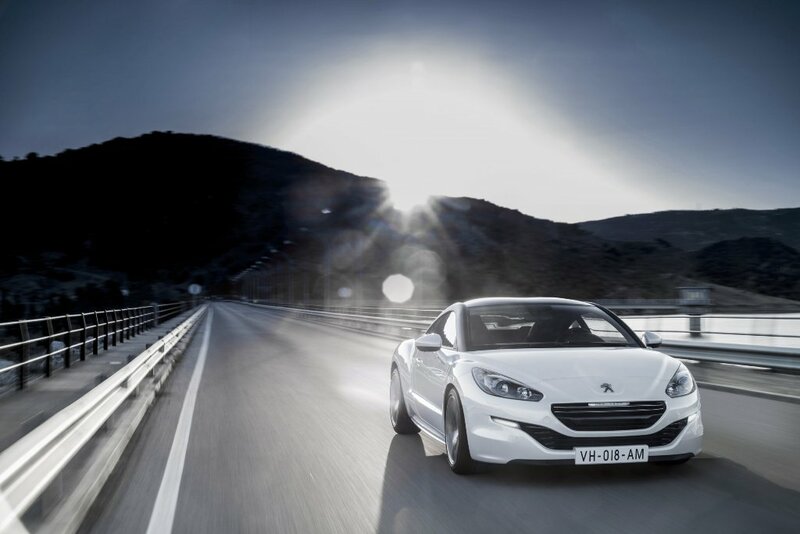 The new Peugeot RCZ will be introduced in the 1st quarter of 2013. 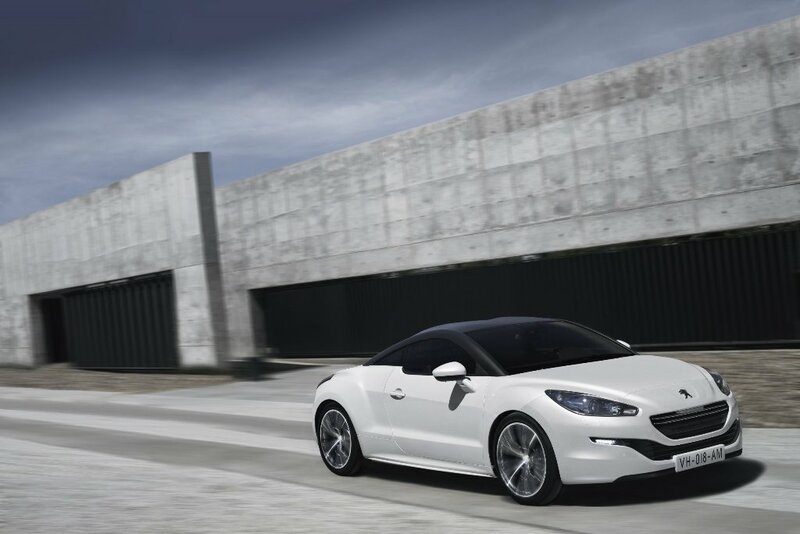 The Peugeot RCZ Sports Coupe, as has become the craze among car manufacturers, will offer customers an extended range of colour and material combinations, both to exterior and interior, which will allow each customer to construct ‘their own’ RCZ. The exterior has received some much needed attention with a completely new front face as well as a ‘double-bubble’ roof. 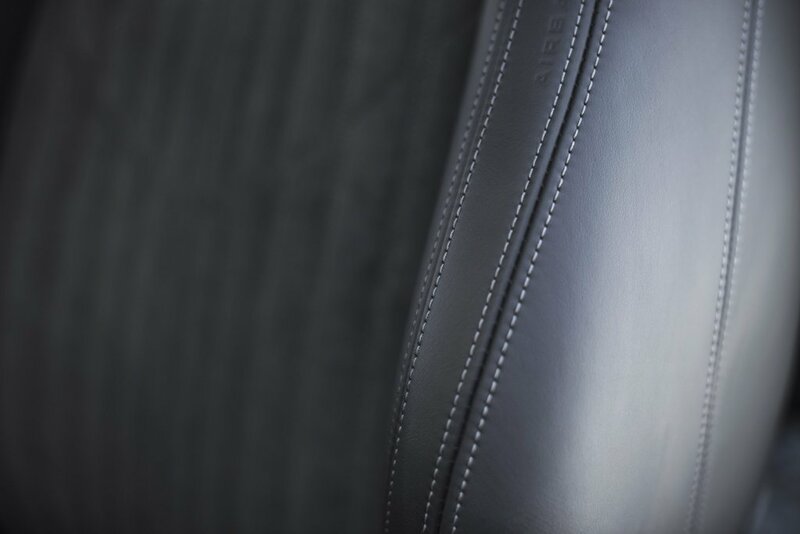 The interior has also has a received a refresh to enhance its features. The most striking elements at the front are the new grille, the new headlamps available in either halogen or directional Xenon versions, and the LED running daylights fitted on the grille. 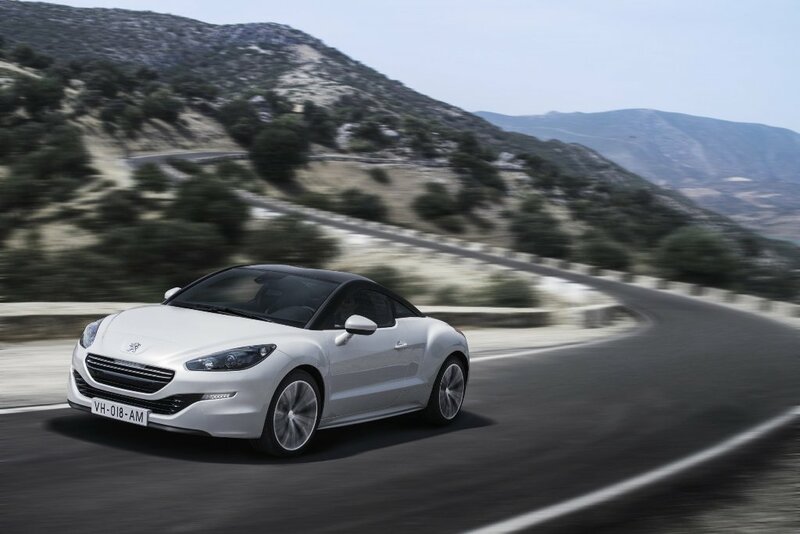 At launch there will be a 1.6 litre petrol engine with 2 variants and a 2.0 litre diesel engine offered on the Peugeot RCZ. These being the 1.6 litre 115kw and 240Nm petrol engine, the 1.6 litre 147kW and 275Nm petrol engine as well as the 2.0 litre 120kW and 340Nm diesel engine. 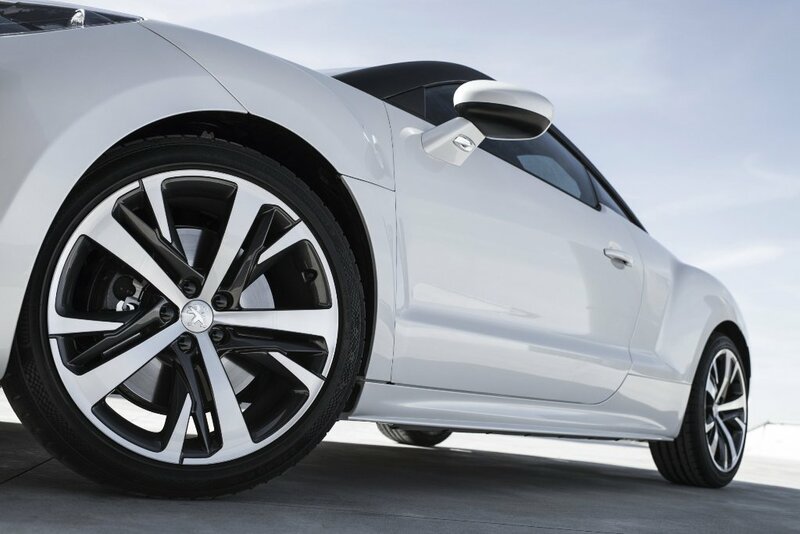 All will be mated to a 6 speed manual transmission except with the exception of the one RCZ 1.6L model which will have an automatic transmission fitted. 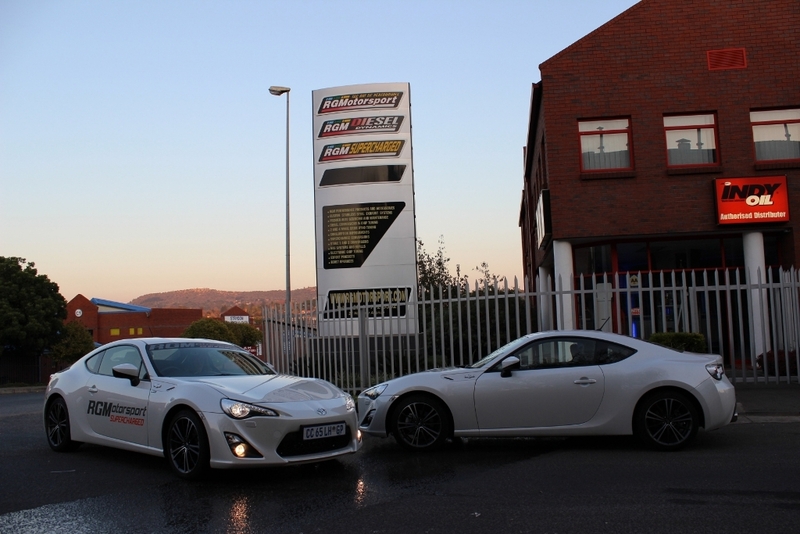 The acoustic signature has also been beefed up by ‘Sound System’ technology (standard on the Sport THP 115kW manual, Sport and GT models with the THP 147kW petrol engine models). 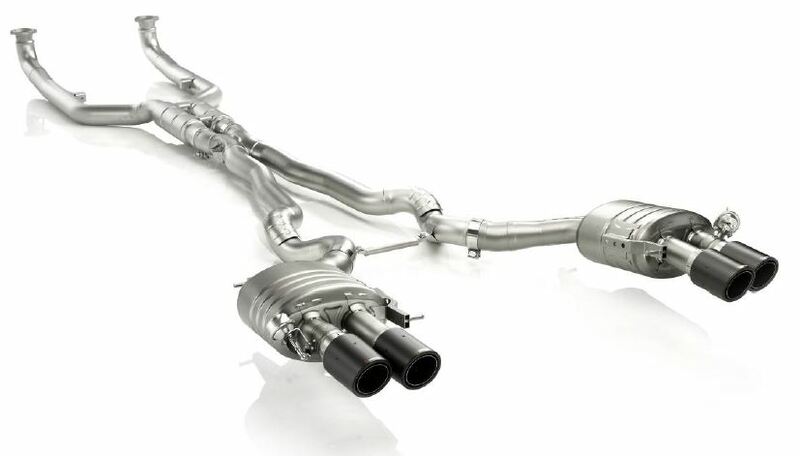 It amplifies the characteristic sound of the engine through a controlled diaphragm that resonates and the vibration noise is louder as the revs of the engine rise during acceleration, while being less pronounced with more regular driving. 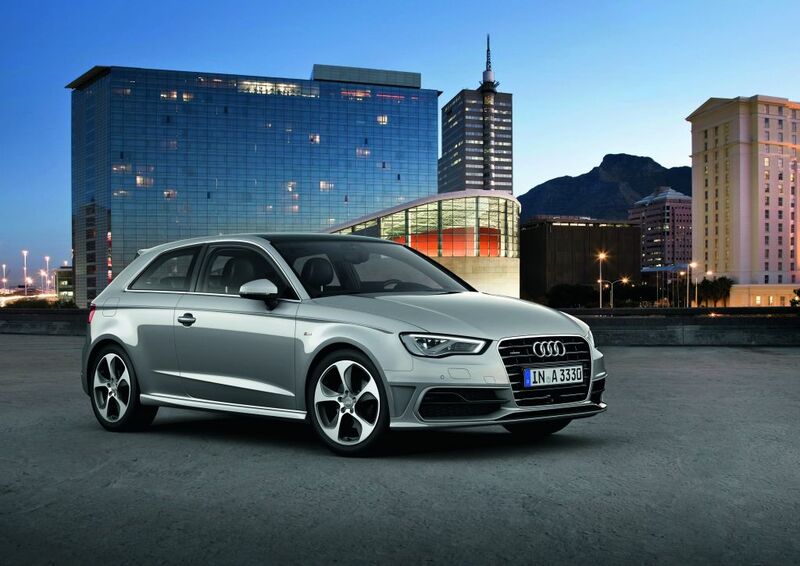 The active rear aero spoiler also contributes to this performance, deployed in two positions according to the speed of the vehicle to ensure aerodynamics and stability. 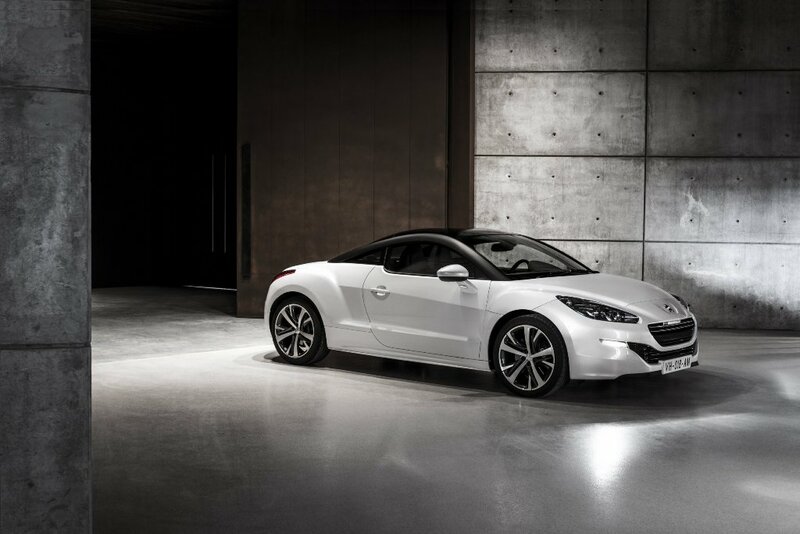 Peugeot will also introduce the RCZ R Concept which it showcased at the Paris Motor Show earlier this year. 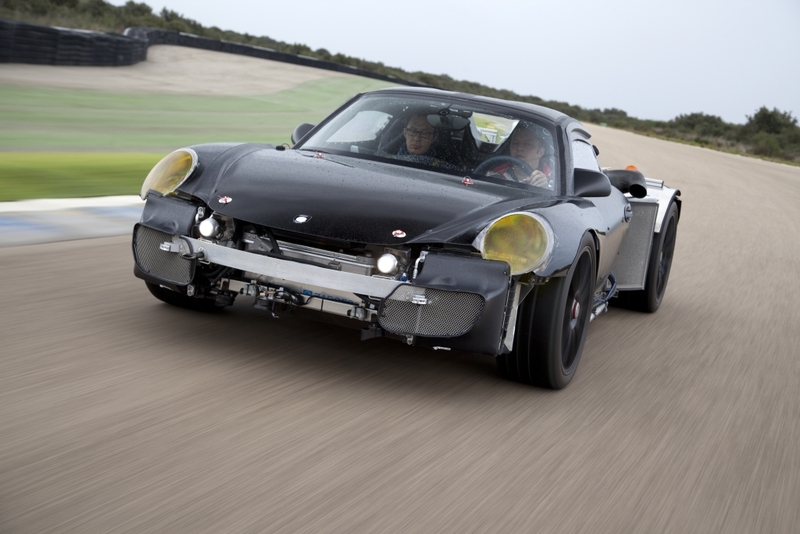 This car will be fitted with a 1.6 litre 191kW and will be introduced to the range at the end of 2013. 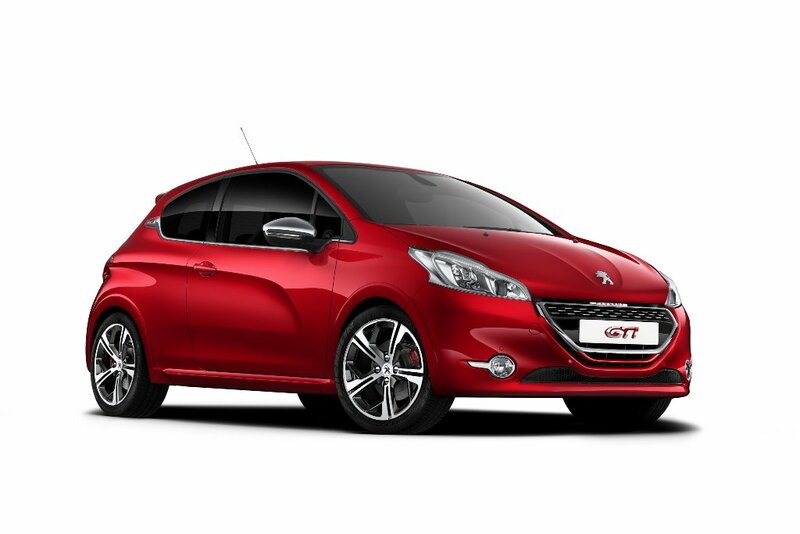 Almost two months after the launch of the new Peugeot 208, Peugeot has introduced the three-door 208 GTi, its so called supermini. 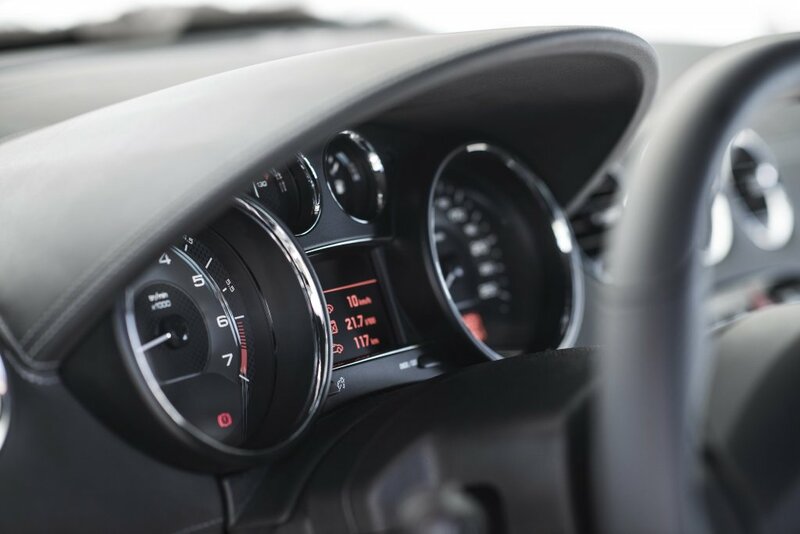 The Peugeot 208 GTi comes equipped with a 1.6 Litre petrol engine which develops 147kW and 275Nm and enables it to sprint from zero to 100km/h in less than 7 seconds (claimed). The 1.6 litre petrol engine is coupled to a manual gearbox with six, close ratio gears, which probably indicate that the engine will love working out at the higher engine rev range. 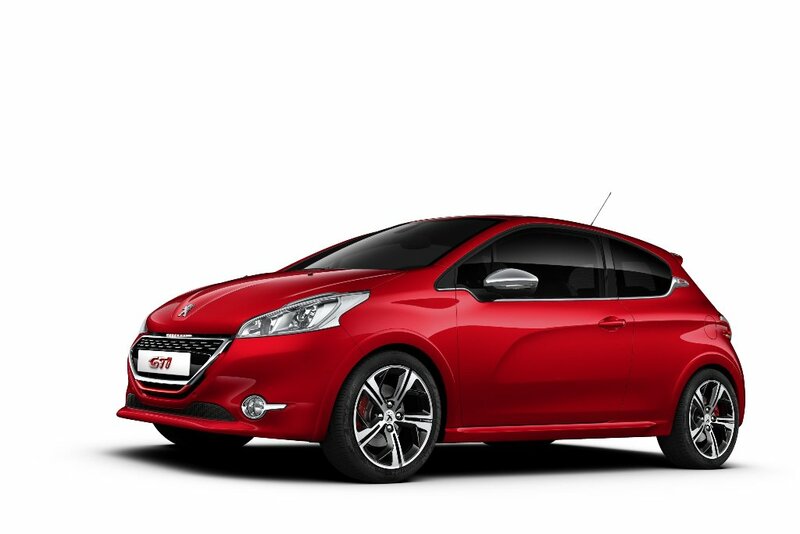 Peugeot claims the 208 GTi emits an appealing engine sounds that carries right through the speed range. 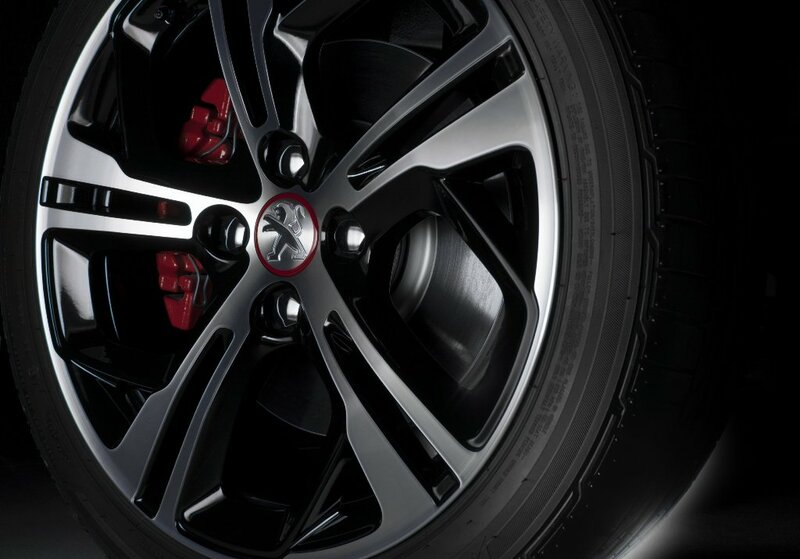 The Peugeot 208 GTi benefits from a widened track, 10mm at front and 20mm at the rear, which give it a very characteristic posture. 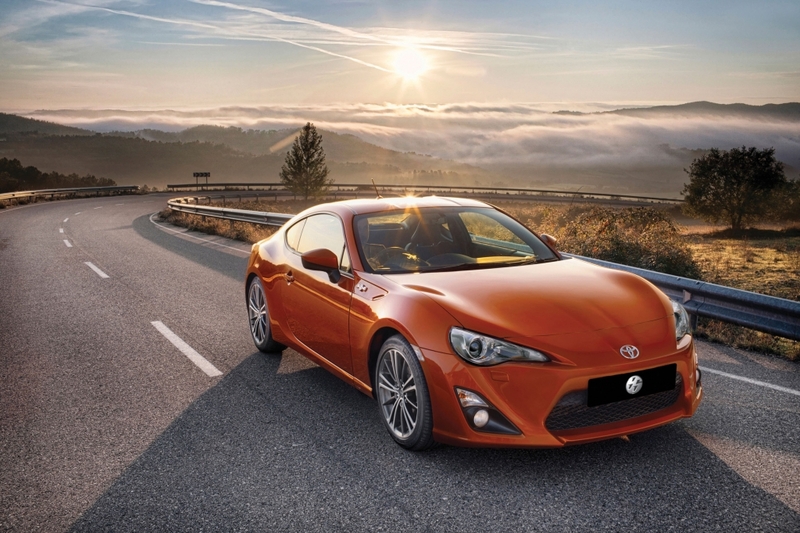 Other significant changes to the bodywork include changes to the body sill and roof spoiler. 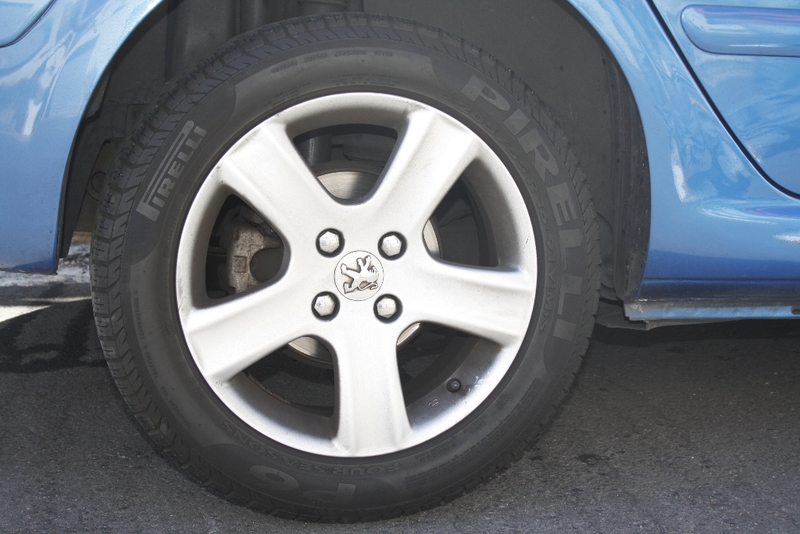 The 17” matt diamond carbon rims shod with 205/45 tyres, the 17″ diamond Carbon wheels, house 302mm ventilated discs at the front and 249mm at the rear, leading to a relatively snug fit between the wheels and the wheel arches. 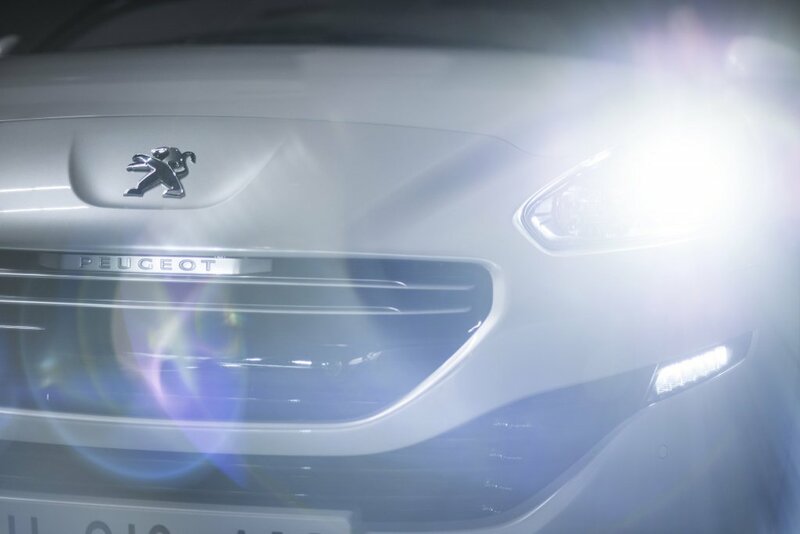 At the front, the 3D sport chequered flag mesh gloss black grille with chrome inserts gives the 208 GTi an element of dynamism of which is further accentuated by the integrated front headlights which houses the main beam halogen headlamps, indicators and running day lights. 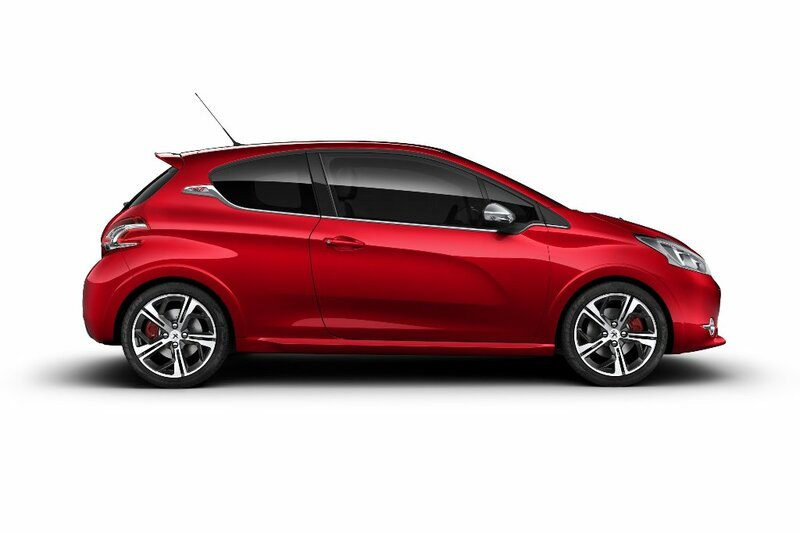 On the side the 208 GTI is embellished by a chromed trim strip running on the lower edge of the window that culminates in a signature accent at the rear quarter panel that bears the GTi logo and that pays homage to the illustrious 205 GTi. 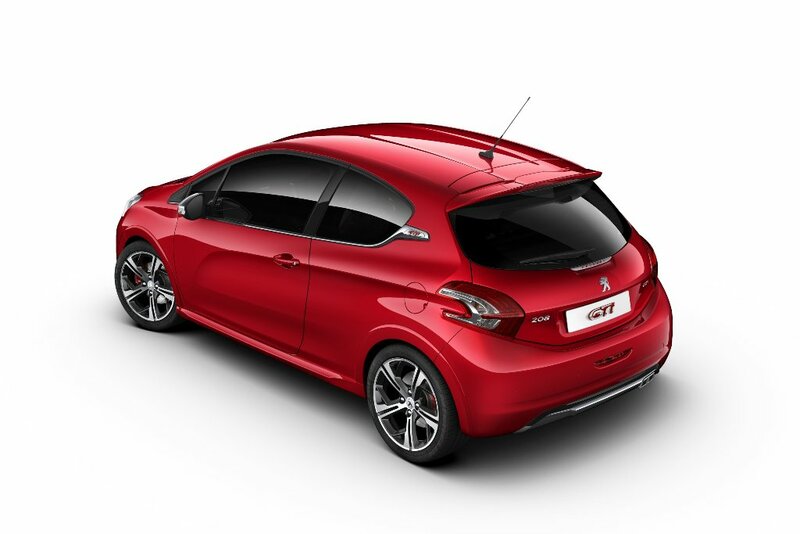 At the rear of the 208 GTi the main highlights are the gloss black rear skirt and the trapezoidal chromed double tailpipe. 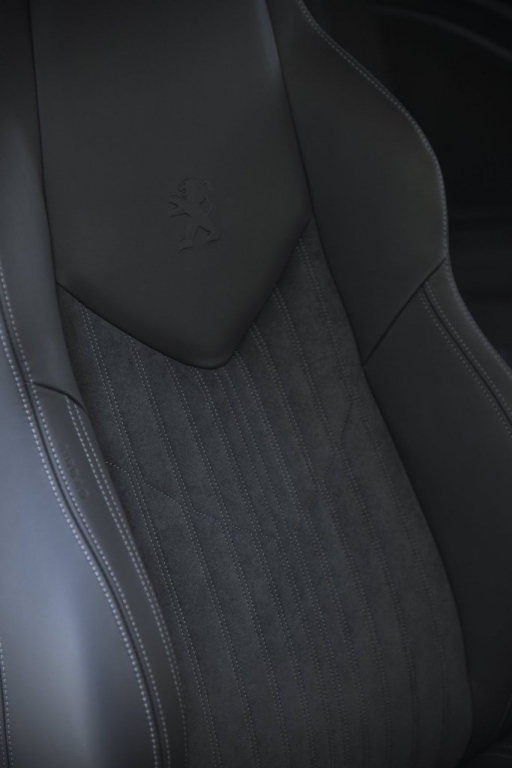 The exterior styling is echoed on the interior by the use of carefully designed components that make the 208 GTi unique. 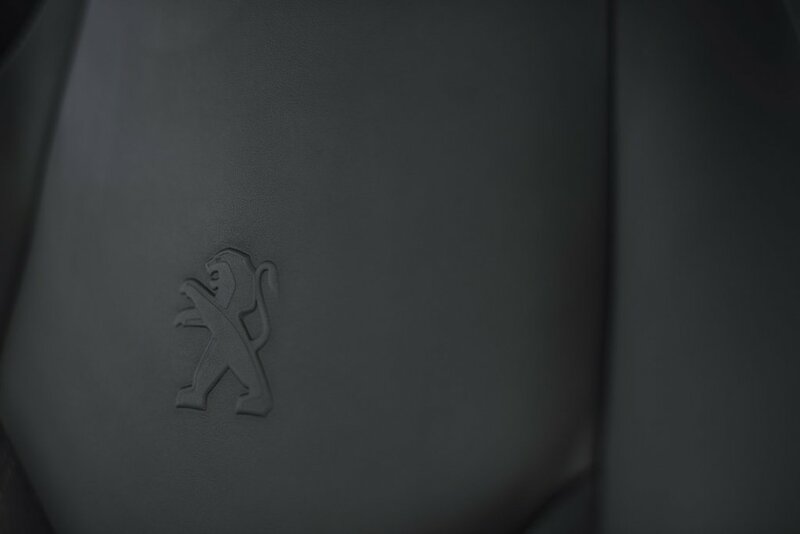 Some of which include the aluminium door sill embossed with the Peugeot name, and styling changes which combine red, black and satin chrome and red GTi overstitching throughout.